Planning your road to wonderful wedded bliss with your groom is an exciting time, but it's not always a walk in the park. The wedding planning process is your first huge task together, and is not without challenges and stress. During this special time, effective communication between you and your groom is key to not only having the wedding of your dreams, but starting your marriage off on the right foot. Our ten tips for how to communicate with your groom when planning your wedding isn't a definitive list all the tactics you can employ, and every couple is different. 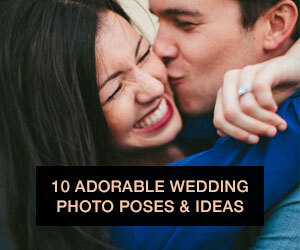 But, it might give you some good ideas on how to start thinking about your wedding as a team and work with each other in the most productive and drama-free way! Chances are, before you were engaged you gave your wedding at least some thought. 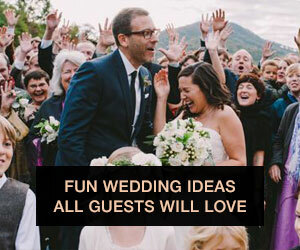 Or, you've had friends who have planned weddings and know generally what to expect in terms of the time, money and energy wedding planning takes. 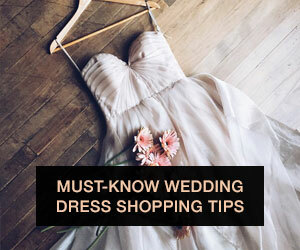 In any case, you probably know more than your groom-to-be does about the world of weddings. While your observance and wedding enthusiasm will probably give you a good starting point and grasp on what to expect, your groom is starting from square one. Unless he's a rare breed of guy, the initial wedding planning phase will probably result him being overwhelmed, sticker shocked, or both. The key to making sure things go smoothly in this exciting but potentially rocky time? Do your research, show him different options for weddings and vendors at different price point, and generally ease him into things. For example, if you show him 5 different types of wedding photographers at 5 different price points, he'll have more context and will probably have lot easier time understanding why you want to hire a photographer for thousands of dollars. Sure, your groom might not be on the same page as you (yet!) as to what exactly planning a wedding entails. But, he hopefully has some opinions as to what he envisions your wedding day including or excluding. It's so important to listen to what is important to him, even if at first you're not crazy about his ideas. And even if the ideas makes you cringe, hear him out and treat his opinion with respect. It's not every day the two of you will be getting married, and this celebration is about your relationship and partnership together. Making the special day personal and having elements that both people are excited about will make your wedding that much more awesome, and will make your groom that much more excited about helping you plan. The average wedding tab hovers at about $25,000. I will be the first to say that that's a crazy, ridiculous, unreasonable number. But the unfortunate reality is that even throwing a wedding for under $10k (which I still think is too much) is pretty damn hard. You'll be spending a lot of money, and you and your groom should ABSOLUTELY be on the same page about how much money is being spent, and how it's being spent. Before you start booking anything, sit down and mock up a rough draft of your guest list, so you get a sense of how many people will be attending. Then, tally up the money that's available. Everyone's situation is different: one or both sets of parents may contribute, or perhaps as a couple you will be funding the wedding yourself. Either way, be honest about where the money is coming from, how much of it is available, and what that means for your dream day. Once you've agreed on a budget (which you've hopefully done after familiarizing him with the idea that weddings can be expensive...), you can move forward and start booking venues, vendors, etc. that are in your price point that you both feel good about. Your idea wedding day may look very different -- but they to making it a day you're both happy with is by finding the common ground, and knowing what's important to have (or to not have!) for both of you. Unfortunately wedding planning isn't just between two people. Wouldn't it be so much easier if that were the case? No, both of your families will play a large role during the wedding planning period, and the more opinions you add into the mix, the more complicated it can get. Establish early on that each of you will communicate with your own families on large, potentially touchy decisions individually. Think of it this way -- your future spouse has probably had 20+ years of butting heads and disagreeing with their parents, which means they are much better at it than you will be. That aside, it's also important for each of you to know what your family's hopes and dreams when it comes to the wedding. It isn't wise to ignore ALL the wishes of each family. Find ways to incorporate the do-able expectations from each family, and try to compromise on the expectations that really can't work. When you're marrying your spouse you're also marrying his family...so, it's best to start things off on the right foot! Your fiancé isn't a mind reader, so if you're taking on the majority of the planning, don't expect him to intuitively know when you need his help or attention. If you need his help, ask for it -- kindly and respectfully, of course. If you need him to set aside time for a venue tour, cake tasting, DIY project, or something where he'll need to be occupied for over an hour, tell him in advance and let him know what to expect. The more clear communication and advance notice you can give, the more your groom will be in the right mindset to help out, and better overall experience you'll both have! If you're sitting down with your groom and asking him to make some big planning decisions (for example, choosing his side of the guest list or agreeing on a venue), give him time to think things over. He might not have all the answers for you immediately, and that's okay -- making big wedding decisions should be a thoughtful process. Again, in this case communication is key. Tell him what he needs to think about, set a timeframe to have the decision made by, and give him space to think things over. He'll appreciate not feeling pushed or rushed into a decision, and you'll ultimately feel better about the decisions you both are making moving forward. 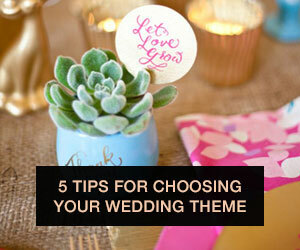 Yes, wedding planning is awesome and exciting! But as any engaged person knows, it can quickly take over your life. It's SO easy for every conversation to be wedding-related, and that can get old pretty quickly. To avoid wedding planning fatigue, choose your conversation topics and timing wisely. Maybe your fiancé is totally awesome and ok with having a conversation about boutonniere flowers over three different evenings, but if you know your groom is starting to balk at every wedding-focused conversation, tone it down. Choose the most important things he needs to weigh in on, and find a time for both of you where you're in the right mindset to discuss those things. Pro tip: plan your conversation so that you address the most important things first! That way when attention spans start to wane, you'll have the key decisions made and the less important things you can table until later. Like I said, wedding planning can be all-consuming. While you'll need to find the right times to talk, you should also be mindful that taking a break can be healthy! After all, there's more going on in your life than just weddings (though maybe at the moment it doesn't seem like it), so try to stay balanced. 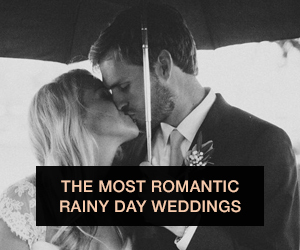 Setting aside weeknights or certain times where you don't talk about weddings can be a good way for both of you to reset and take time enjoy the little things that have fallen off the radar with all the planning craziness. Above all, be a team. Agree to work as a team, agree to be mutually supportive and agree to be patient: this will make communicating with each other during wedding planning so much better. The expectation that your wedding is a project to work on together on sounds like a no-brainer that doesn't even warrant discussion, but making your love and support for one another super-obvious can't hurt, right? 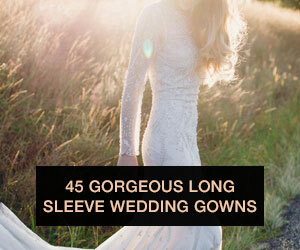 Well brides, what do you think? What are your tactics for communicating effectively with your partner while planning your wedding? Let us know your challenges (and the solutions) in the comments!